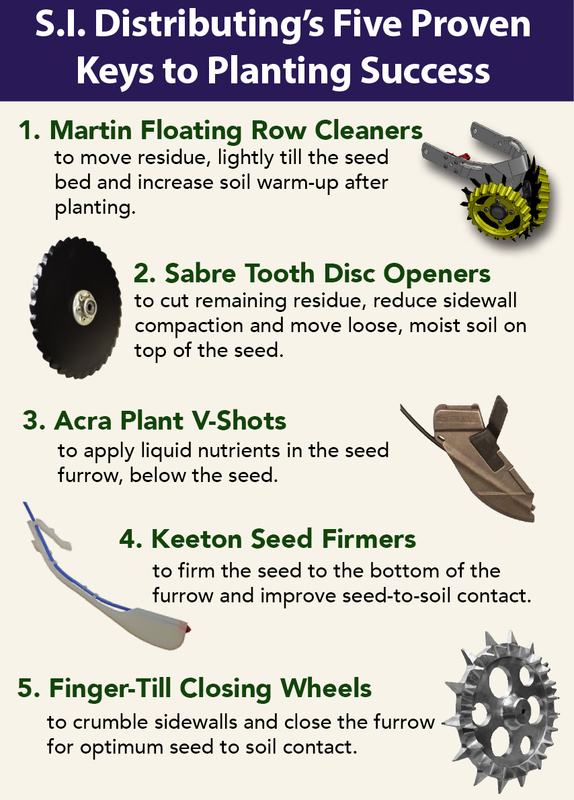 Beck’s 2018 PFR indicated that aggressive closing wheels, like the Finger-Till Closing Wheels, increased yields and emergence. Regarding corn, S.I. 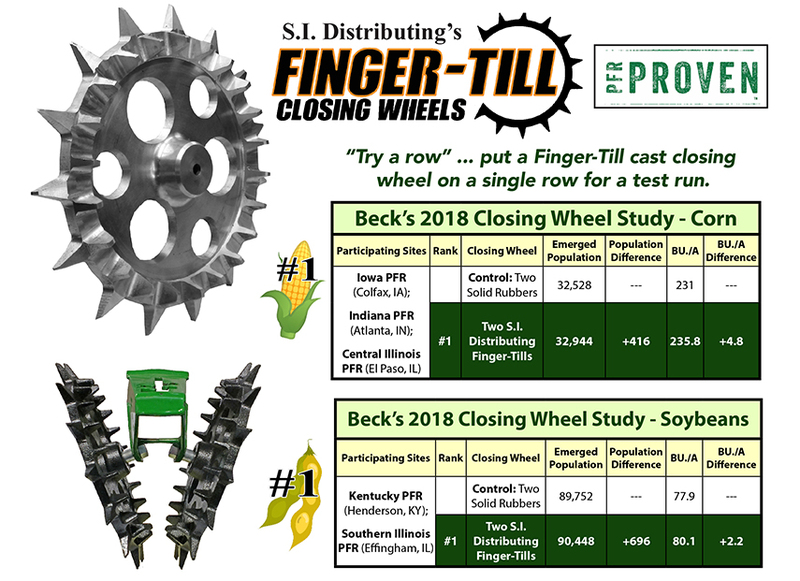 Distributing’s Finger-Till Closing Wheels ranked #1, with a +4.8 bushels per acre difference, in the Beck’s 2018 Closing Wheel Study at the Iowa, Indiana and Central Illinois PFRs. Regarding soybeans, Finger-Till closing wheels also ranked #1, with a +2.2 bushels per acre difference, in the Beck's 2018 closing wheel study at the Kentucky and South Illinois PFRs, regarding soybeans. Finger-Till closing wheel John Deere planters with a 16.95 threaded spindle on closing wheel frame. 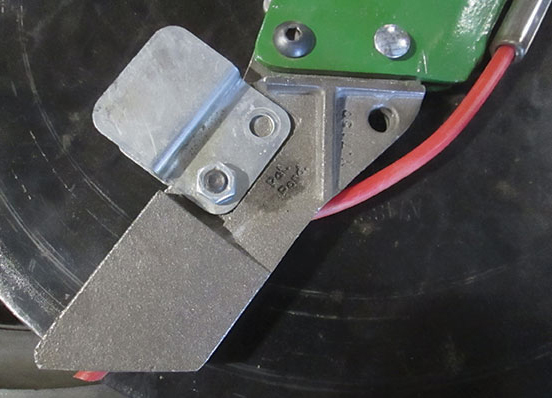 Finger-Till closing wheel for John Deere, Kinze and White planters where closing wheels are attached with roll pin. Water pump style bearing.